Welcome to our On Sale Swarovski Crystal 5000 Round Beads page, where we have a huge selection of these very popular beads at deeply discounted prices. 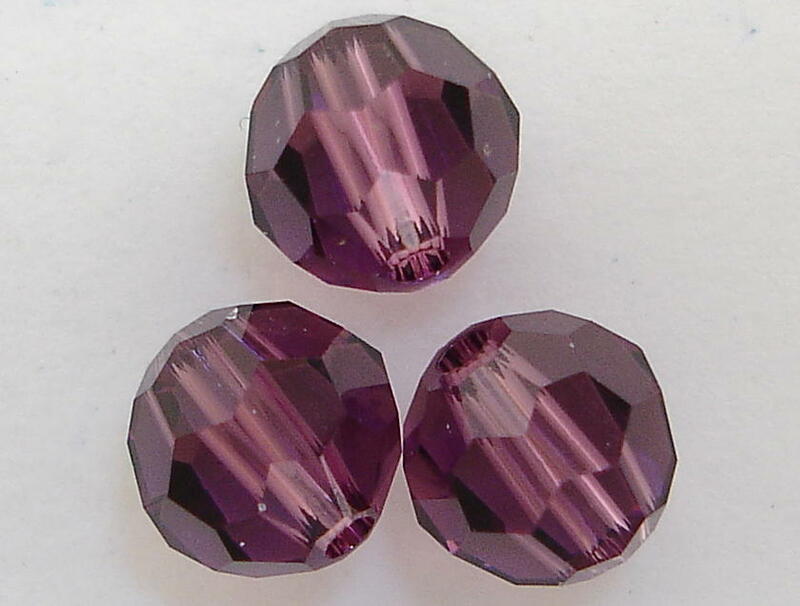 In some cases these colors have been discontinued by Swarovski and in some instances we simply have overstock of them. Please be aware that we sell out of these sale crystals quickly, so if you like a specific color and size, we suggest getting them now, because there is no guarantee they will be available in the future. 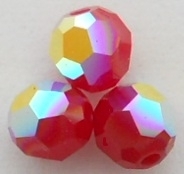 If you happen to order more Swarovski beads of a particular color or size and we are unable to fulfill your order, we are always happy to let you know and give you the opportunity to make a substitution. These discounted Swarovski Crystal Beads are a real steal, so have fun choosing your favorites! The Swarosvki Crystal Round Beads are a classic beauty and one of the most popular styles Swarovski has ever made due to the many facets on each bead, creating a brilliant display of sparkle. Whether you make jewelry for yourself, for gifts or you own your own jewelry business, when you order from us, rest assured you are receiving genuine Swarovski Crystals at very low wholesale prices. We are an official Swarovski Authorized Reseller, which means you know we order directly from Swarovski. Our longstanding relationship with Swarovski, helps us to pass on huge savings to you, which helps you to create more bang, or in this case, sparkle for your buck. These Swarovski Crystal Beads will be on sale only until supplies last, so have fun choosing your favorite colors and making jewelry that will bring you, your loved ones and/or your customers, so much joy for years to come! The fashionable Swarovski Crystal 5000 Round Beads feature many facets throughout the entire bead, which provides you with truly stunning brilliance for all of your jewelry and crystal projects. These particular Crystal Round Beads are currently on sale, which means you can create more gorgeous designs at a fraction of the price. We are wholesale Swarovski Crystal dealers to the public, which means we do not need your resale license number to receive low wholesale prices. We do not charge you tax and would only need your resale license number if you live in our state of Colorful Colorado. If you do not have a tax ID number, no need to worry, just a small amount of tax would be charged to your total. This sale on Swarovski Crystal beads will be available until supplies last, so don’t wait to stock up because these beauties are selling out quickly. Making jewelry is a wonderful and rewarding experience and when you can make designs that use the highest quality products, such as Swarovski crystals, well, simply put, your jewelry will stand out much more. Jewelry made with Swarovski Crystals catch your eye much more than imitation crystals, because of Swarovski secretive technology that has been perfected over the last 120 years. Swarovski Crystals are the finest quality crystals in the world, and we provide you with an extensive variety of shapes, colors and size to choose from, at very low prices. This is the ultimate goal, high end jewelry at affordable prices - now that’s a dream come true! Have fun searching for your favorite Swarovski Crystal Round Beads one Sale now!